Potatoes have gone from being regarded as a super cheap and convenient health food to a junk food that must be limited in the diet. Potatoes need a better promotion manager. Recently the US Congress blocked plans by the United States Department of Agriculture (USDA) to limit servings of potatoes served in school lunches to twice a week. The same thing applied to starchy vegetables like peas, corn and lima beans but why pick on the humble potato - a fabulous cheap, healthy and versatile food. The potato, that originated in South America, has a history as a wonderful basic staple food that saved many countries from starvation. The introduction of the potato into to Europe literally transformed agriculture. Its importance was dramatically shown by the famine that arose in from the Potato Blight. In Ireland, during the Great Famine from 1845 to 1852 about 1 million people died and thousands more emigrated from Ireland due to the famine. The primary cause of the terrible famine was the potato disease known as potato blight. This disease ravaged potato crops throughout most of Europe, but had a massive impact on Ireland because about 30% of the population was virtually dependent on potatoes for food. Prior to the introduction of the potato, people in Ireland and Europe depended mostly on various grain crops which were very unreliable due to the a cold and wet climate and unsuitable soils rocky soil. The potatoes literally allow the population to bloom - birth rates rose, there was a fall infant mortality, women had more babies and most of this can be attributed to the potato. Potatoes could be grown in a wider variety of soils and condition that were unsuitable for growing grains. They could be harvested easily and they required little processing once grown, and they could be stored easily. 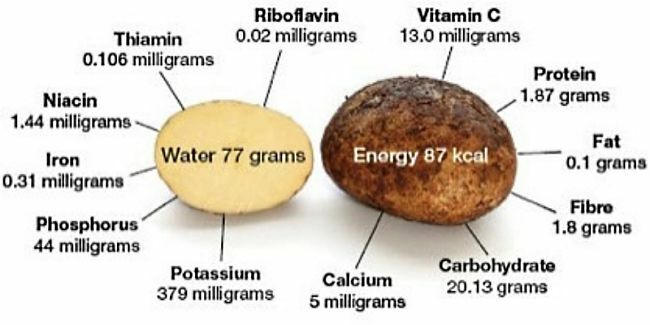 Importantly potatoes are packed with wonderful array of nutrients and lots of energy. For a medium size baked potato weighing about 5.3-ounces there is only about 100 calories and little or no fat. The humble potato is one of the richest sources of potassium for any food, including bananas, and is also a wonderful source of fibre and vitamin C.
Potatoes Reputation Defamed but are we throwing out the baby with the bathwater? 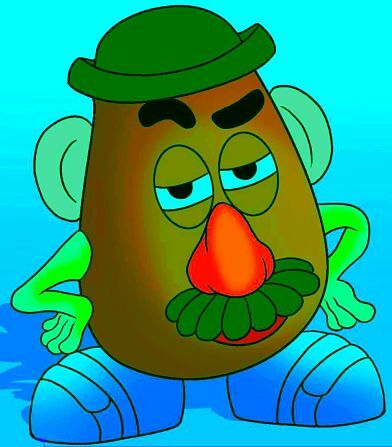 Recently, potatoes have suffered from a poor public relations image. 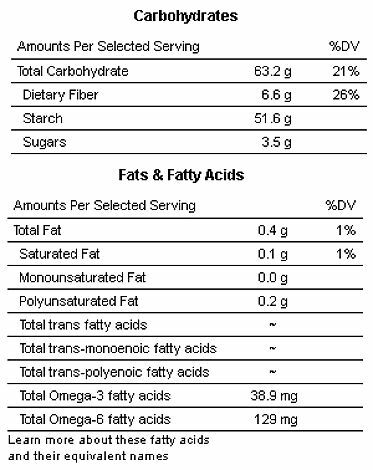 Diets like South Beach Atkins put potatoes on the banned list, because of their carbohydrate content. 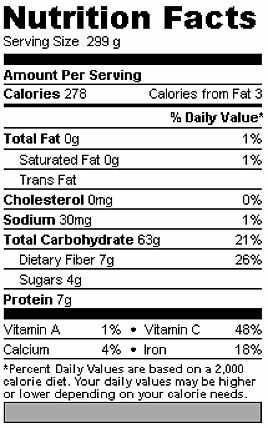 Potatoes were labelled as empty calories with low nutritional value. Because most modern people ate them as deep fried chips or fries, which dramatically increased their fat content, or they were not eaten as a whole food they were labelled as bad for you. Most people removed the skin by peeling and this removed most of the nutrients which were associated with the skin and the layer beneath it. 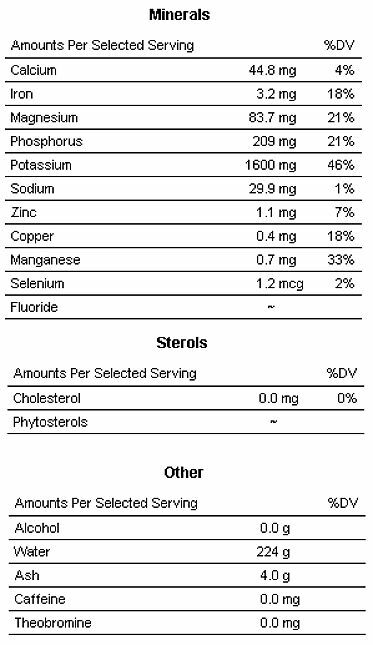 The major nutrients in a standard white potato (200g), baked, just the flesh. 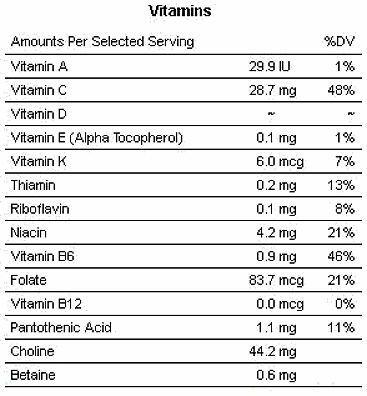 These nutrients are certainly much better than rice. 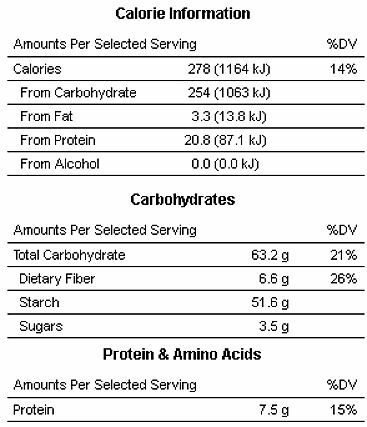 The carbohydrates are almost all starch. 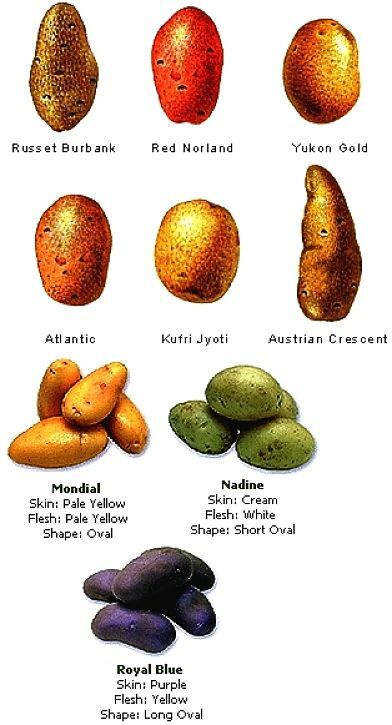 The full list of nutrients in potatoes are shown in the images. In 1995 potatoes became the first food grown in Space aboard the space shuttle Columbia. Potatoes are cheap and very easy to grow and many people use them as a foundation crop to start a vegetable garden. They are and ideal crop for farmers in the developing world. Potatoes can grow to a very large size, with the world’s largest potato weighing about 18 pounds (Guinness Book of World Records). The Inca populations of Peru were growing potatoes as far back as 200 BC. They were first introduced into Ireland and Britain in the late 1500s. At one time, the Scots refused to eat potatoes, because they were not mentioned in the Bible! Potatoes were often eaten aboard ship to prevent scurvy, a disease caused by a deficiency of vitamin C.
There are more than 100 potato varieties of potatoes that are eaten that range from white to red and blue. The potato harvest is the fourth largest food crop in the world that is cultivated in a huge array of countries. Only corn, wheat, and rice are more important. Americans love potatoes and most people consume about 125 pounds of potatoes each year in the form of fresh, frozen, chips and dehydrated. Late varieties of potato need 110 days or more of growing time, but they typically produce a heavy set of tubers that keep well in storage. Potatoes are good for you as long as you prepare them in a healthy manner. Boiled and baked potatoes are good for you. Eat the Skin, Skip the Toppings - don't fry them. 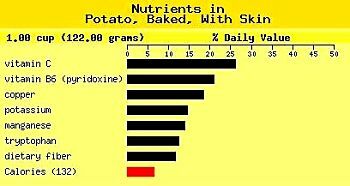 Why are Potatoes Regarded as Unhealthy ? The biggest issues for the health of potatoes is the way they are prepared. Most people peel off the skins, then boil them or shallow fry them and then develop a sauce that includes salt, cream, butter or milk. Commonly potatoes are baked and a dressing is provided that contains cheese or cream, mayonnaise, bacon bits and other ingredients. The skin is one of the healthiest parts of the potato should be retained to increase the nutrients. Deep frying potatoes loads them with fat and calories. There are many healthy potatoes recipes to try. My favourite way to eat potatoes is to simply place washed potatoes on the shelves in the oven and bake for about an hour - Add nothing. 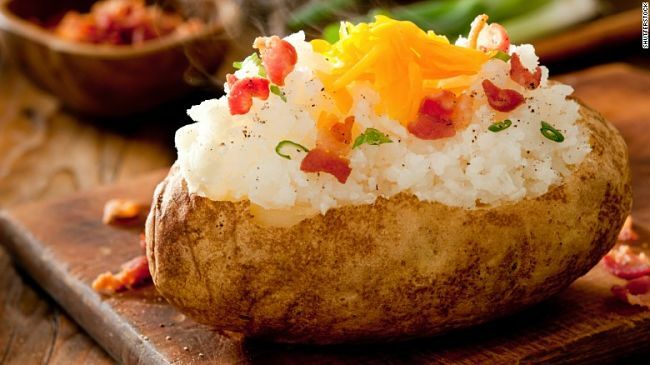 This is the perfect baked potato! Place the potatoes in a pan and just cover with water. Bring to a boil. Then, reduce heat to a simmer; cover and cook for 12-14 minutes or until tender. Drain; cool for 30 minutes. Slice eggs in half (discard yolks or save for another use). Cut the whites into small pieces. Using a large bowl, mix the mayonnaise, vinegar, sugar, mustard, salt and pepper. Add the celery, green onions, potatoes, egg whites, onion, red pepper and parsley; toss to coat. Cover and refrigerate for 2 hours or until chilled. Pre-heat your oven to 200 degrees C/400 degrees F. Part cook the potatoes in boiling salted water for ten minutes. Drain them well. Add the sunflower oil, sage and thyme to a large bowl and mix well. Season with salt. Mix in the potatoes and mix thoroughly but carefully to ensure they are all well and evenly coated in the oil and herbs. Put the potatoes on to a baking tray and in to the oven for twenty-five minutes. Do not wash the bowl! Put the crushed garlic in to your unwashed bowl and after twenty-five minutes in the oven, remove your potatoes and put them back in the bowl. Again, stir carefully and well. Put them back on the tray and give them five more minutes in the oven. Heat 1 teaspoon oil in a medium saucepan over medium heat. Add garlic and cook, stirring, for 1 minute. Add tomatoes, paprika, crushed red pepper and 1/4 teaspoon salt. Adjust heat so the sauce is simmering and cook, stirring occasionally, until thickened to the consistency of ketchup, 16 to 20 minutes. Meanwhile, toss potatoes, pepper and the remaining 1/4 teaspoon salt in a medium bowl. Heat the remaining 2 tablespoons oil in a large non-stick skillet over medium-high heat. Reduce heat to medium, add the potatoes and toss to coat. Cook, stirring frequently, until the potatoes are dark golden brown and tender, 15 to 20 minutes. Serve the potatoes with the sauce for dipping.